Tena Lady Pants Plus are tailor made to provide a body-close fit, ensuring maximum discretion. Tena Lady Pants Plus provide a body close fit for outstanding comfort and feature a narrow waistband to ensure the product fits accurately around your waist. 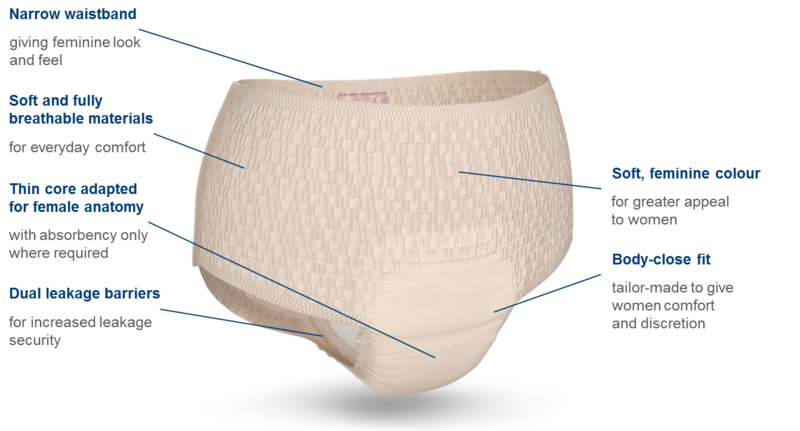 With a thin core adapted for the female anatomy, the product is specially designed to fit comfortably round a woman’s body.